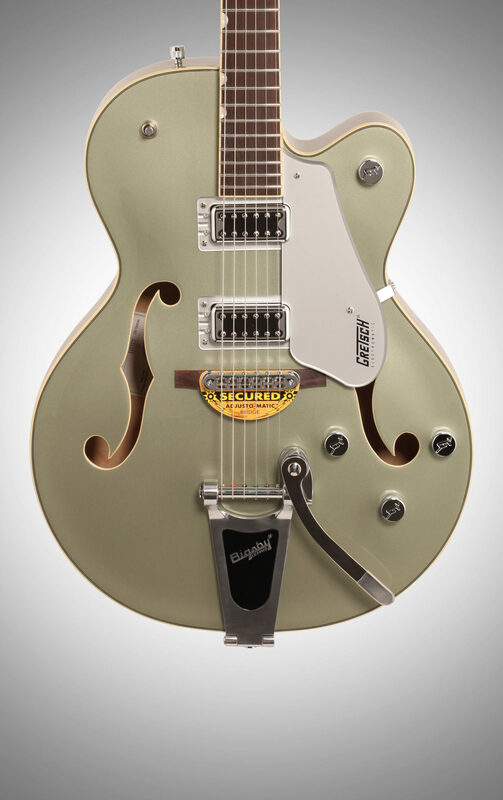 Hot-Rodded Hollowbody Twang -- This Gretsch's Got It! Built from 5-ply maple in a hollow body style, you'll hear the natural resonance of the G5420T before it ever touches a cable plug. 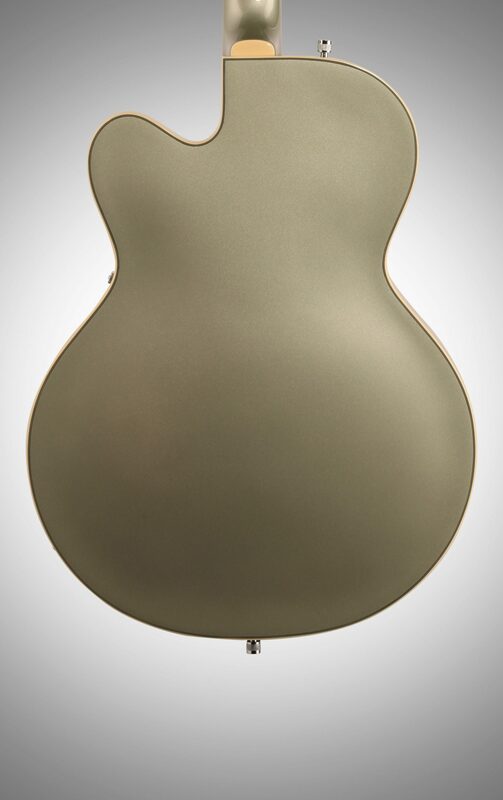 The hollow design is lightweight and features a carved back, giving relief to guitarists who log lengthy gigs. The maple neck is cut a bit on the thicker side for players who like a chunkier feel. The G5420T's "Black Top" Filter'Tron pickups are a throwback to the pickups featured on Baldwin-era Gretsch guitars in the '70s. These updated models give the guitar a bright, punchy sound to help your chicken-picked runs ring true. Twang and jangle are the guitar's specialty, but rolling down the master tone knob cuts out the treble to mellow the sound. If you're more of a rebel outlaw than country gentleman, the Filter'Tron pickups respond well to overdrive, making for a crisp attack on the bridge pickup and full-bodied blues tones in the neck position. 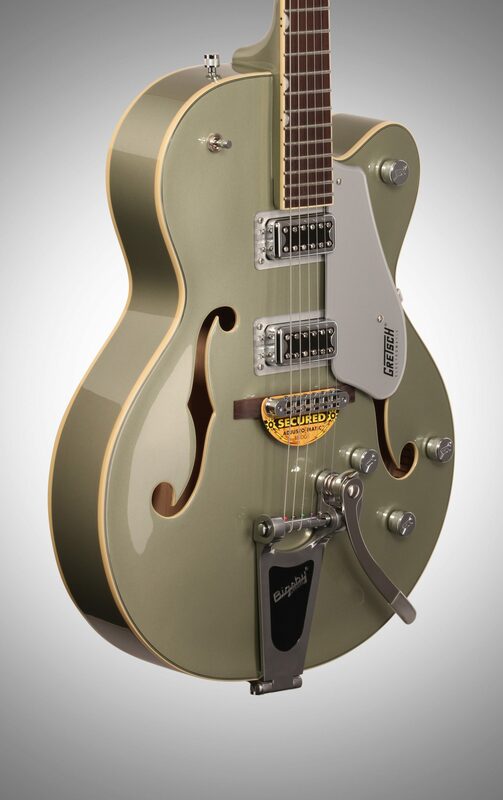 The G5420T comes equipped with a Bigsby-licensed B60 vibrato tailpiece positioned for easy access near your picking hand. 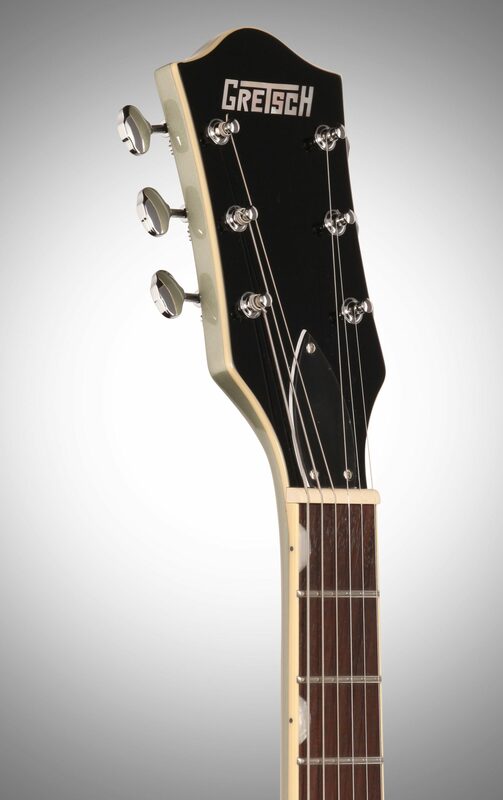 The tailpiece is complimented by an Adjusto-Matic bridge, which can rock slightly along with the Bigsby to help reduce string friction. The bridge also allows for adjustments to be made to each string's intonation, so you can set up your guitar to play just right. 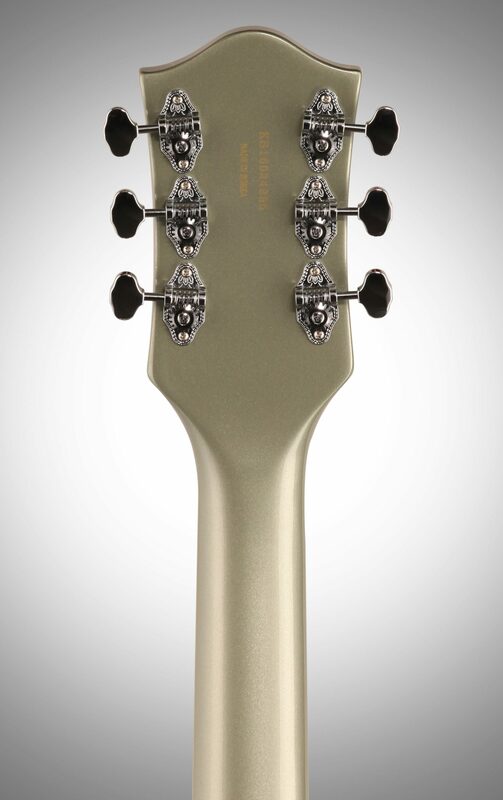 The vintage style open-back tuners complete the classic look of the hardware set. 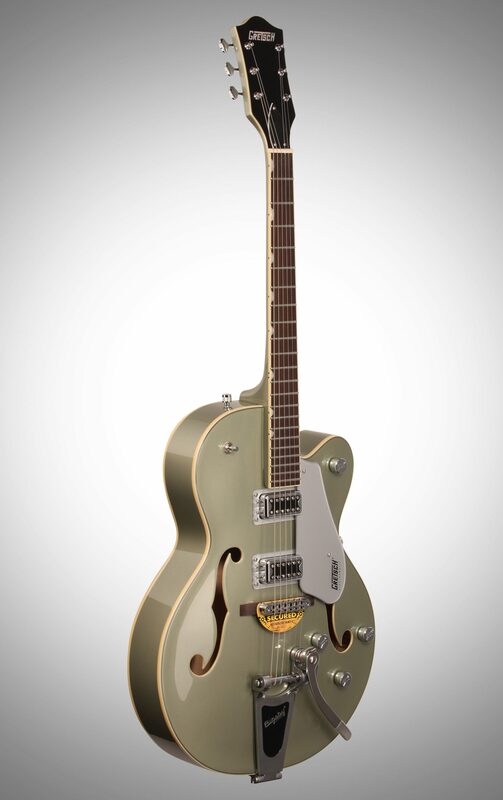 Sweet as southern tea or played with bite like bourbon, the Gretsch G5420T rings true with bright and clear tones. - Nut (Material/Width): Graph Tech NuBone, 1.6875"
This review has been selected by our experts as particularly helpful. "Replacement for stolen 5420"
Sound: The blacktop pickups have a touch more gain than I would have expected, but it is tamed easily with the master volume control and when flat out the extra umph lends a nice bit of drive to a slightly overdriven amp. Feature: I do not like the tuners and had them changed almost immediately for locking Schallers. The Bigsby works just fine, but the spring it a touch stiff for my tastes. 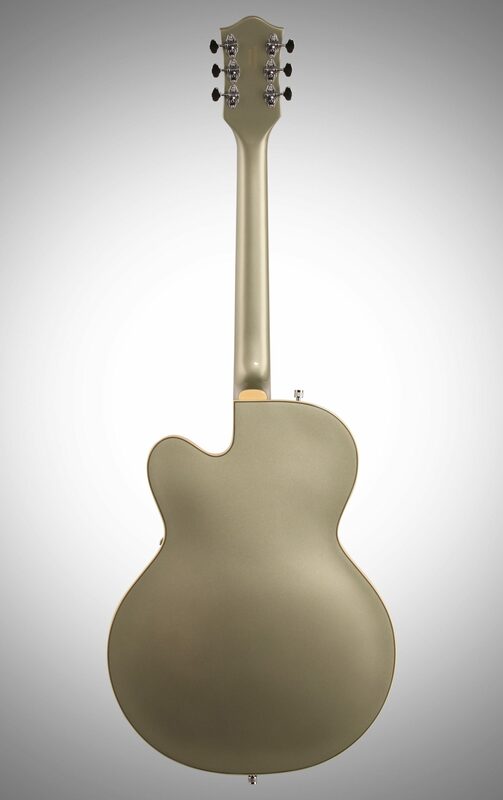 Remember to lube the nut and bridge saddles to keep it in tune, The redesigned blacktop pickups are great. Quality: Fit and finish were both fantastic ..... the fretwork was right on and needed no massaging at all. I was very surprised when I looked it over carefully how good it really was. Its a lot better than the one it replaced (and I really did like the previous one). Value: It was worth every penny I paid with my only complaint being the tuners and lack of hardcase. Manufacturer Support: I have had no issues and therefore cant comment on support. The Wow Factor: Mine is Fairline blue ..... its a stunning sparkling color. Thank you. Overall: I already knew I liked the 5420's because I just had one stolen from a gig. I bought this one as a replacement and I have done 3 gigs with it now. the fit and finish is actually better than the old one. 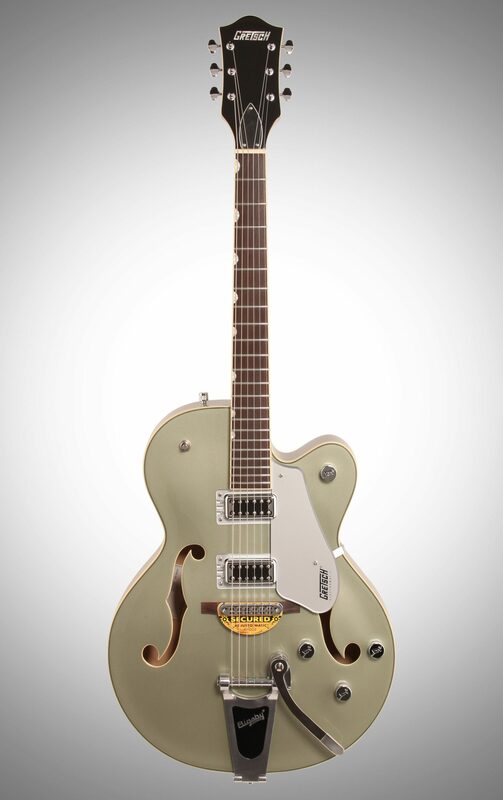 the pickups are classic Gretsch with a touch more umph. I like the subdued inlays better than the previous ones and the pinned bridge makes a huge difference. Overall I would say that its a significant upgrade and well worth the time and money. Overall: I have been playing guitar for 40+ years now and this is my first Gretsch. I bought it on line a scratch or dented price. Let me tell you I have found no flaws in this guitar. I was able to play it right out of the box. The action on this guitar is great plays so easy and smooth. I love this guitar the sound is so much better then my epiphone. I have bought three guitars from zZounds and every time I have nothing but praise for their customer service. If your looking for a great deal and an excellent guitar buy this model G5420T you will not be sorry and you will always get a fair shake from zZounds believe me.